If you’re buying a home in Colorado, get it tested for radon. There are two main reasons to test for radon; lung cancer and money. Radon is a gas formed by the breakdown of uranium and radium, both of which are found in high levels in Colorado. There are a large number of homes in Colorado with high radon levels. We’ve found that about one out of three houses have high levels of radon. Radon is unpredictable. Two houses built right next to each other, at the same time, with the same construction methods, may have very different radon levels. Radon gas is the number one cause of lung cancer among non-smokers, and the second leading cause of cancer in America. Radon testing is recommended by the EPA, the Surgeon General, the American Lung Association. The area most at risk in a home is the lowest level that gets lived in. When we conduct a radon test and the test results come up high, the buyer typically asks the seller to pay for or install a radon mitigation system. These systems are extremely effective at lowering radon levels, and they typically cost well under $1500. If you buy a home and you decide not to test for radon as part of the home purchase, you can still test for radon after you own the home, but if a radon mitigation system needs to be installed, you won’t have the luxury of asking someone else to pay for it. Picture this scenario: you buy a home, but don’t have it tested for radon. Several years down the road, you sell your house. The new buyers have a radon test performed, the radon test comes up high, so the buyers ask you to install or pay for a mitigation system. You’ll probably wonder why you never tested for radon when you bought the house. This happens a lot. We hear many objections to radon testing – some are valid, some aren’t. The home doesn’t have a basement. Ok, that’s a good objection. We’ve found that most homes without basements have very low levels of radon. Basements with a walkout generally have lower levels, but we’ve still found our share of high radon tests at basements with walkouts. It’s new construction. Unless the builder installs an underground/underslab mitigation system before proceeding further with construction, you will still have the same conditions as existing homes. The home already has a mitigation system. If the system is working properly, the radon levels are probably very low. 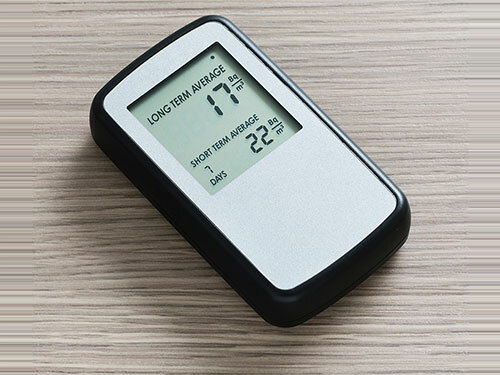 We’ve never found high radon levels in a home with a working mitigation system. I’m buying a bank owned property or short sale, so it doesn’t matter if the house has high radon levels. The sellers won’t be paying to fix it, and I’ll still want the house either way. Fair enough. It’s still a good idea to get a do-it-yourself test after you own the house though. I’m going to do my own test. That’s fine, but it won’t be part of the real estate transaction.